Milton Hershey School (MHS) is currently seeking a part-time Registered School Nurse (RN) for its Pre-K through 12th grade students from lower income. The unique and very child-centered structure of MHS’s Health Services programs enables nurses to focus where their heart is – on student care. MHS School Nurses use their clinical expertise to provide comprehensive health care - identifying and treating health concerns, as well as participating in pro-active health and wellness programming. Through this work, the health services team positively impacts the lives of our students from very diverse backgrounds. The work schedule for this position will vary based on departmental needs and works every 4th weekend and holidays up to 29 hours per week in school-based clinics and in a school-wide Health Center. This is a twelve-month position. The ability to have a flexible schedule is required. This is a role within the bargaining unit of Milton Hershey Education Association (MHEA). Qualifications: PA Registered Nurse License required, Bachelor’s degree in nursing, preferred. At least two years nursing experience, physical assessment, primary pediatric, school health and/or emergency nursing, and counseling skills. Valid license to practice as a registered nurse in PA, required. Valid PA Driver's license in good standing. Ability to function as an interdisciplinary team member and have health teaching skills . Ability and willingness to be flexible regarding the work schedule is essential. Sound decision-making skills. Current CPR certification and advanced first aid training. School Nurse Certification a plus. Must demonstrate high level of integrity, as all MHS Staff are considered to be role models for the MHS Students. Candidates should be willing to actively engage with MHS students. Milton Hershey School (MHS) is seeking a part-time Certified Nursing Assistant (CNA). Join an amazing team in a diverse setting, use your clinical skills, and positively impact the lives of youth! The CNAs assist the registered nurses to provide high quality health care to MHS students in a 40-bed Health Center and in the school based clinics. This includes assisting with admissions & discharge procedures of students, as well as transporting and accompanying students to and from medical appointments off-campus including emergency room visits. CNAs must maintain confidentiality and personal and professional accountability at all times while striving to provide high quality health care and programs that are 'child-centered', consistent with the vision and mission of the School and the Student Health Services program. This position works a flexible schedule (up to 29 hours per week), including weekends and holidays, based on student need. Qualifications: High School Diploma or equivalent, required. Valid current certification from a state approved Nursing Assistant training program or equivalent required. Current CPR and First Aid certifications required. Valid PA driver’s license in good standing required. Should be OSHA trained for blood-borne pathogens. Physically able to lift and assist injured students. Willing to support and follow school & departmental policies & procedures. Demonstrated ability to maintain a high degree of confidentiality. Demonstrated ability to follow detailed and specific instructions accurately. Commitment to provide high quality care to children and youth. Experience working with a diverse student population a plus. Demonstrated ability to work in a collaborative and team environment in a busy and dynamic work setting. Demonstrated skills in making good decisions. Spanish speaking skills a plus. Candidates should demonstrate a high of integrity, as all MHS Staff are considered role models for MHS Students. Do you love working with children and youth to shape their lives in a positive direction? Do you enjoy working with your spouse? Would you enjoy managing a large-scale home and creating family traditions for those in your care? Consider Flex Houseparenting at the Milton Hershey School in Hershey, Pennsylvania!! 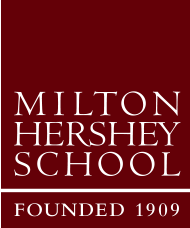 Milton Hershey School Flex Houseparents live and work in homes on campus with 8 to 12 children. Flex Houseparents are care-givers and role models for the students - living with them in campus homes. Flex Houseparents oversee the children's daily lives including the start of their day (prayer/devotions, healthy breakfast, appropriate dress & to school on-time) as well as upon their return from classes (healthy dinners, homework, chores, driving to/from extra-curricular in school vans, & to bed in a timely manner). Also responsible for administrative duties, home management, Sunday chapel attendance with students, meeting participation & training attendance. Flex Houseparents actively engage with the students as they oversee the students and the home so the children live & learn in caring well-structured homes. Flex Houseparents also partner with the students, teachers, health professionals, administrators, & students' parents/guardians to ensure students reach their full potential. Milton Hershey Flex Houseparents work in a “flex arrangement”, working in a variety of homes until placed in an assigned home or quad of homes. This position is a year round position. Flex Houseparents work 12 days on & 3 days off. Private apartments for the Flex House-parents are provided, NO PETS permitted. Flex Houseparent couples are permitted to have up to two of their own children residing with them. Minimum starting salary per married couple is $71,238.00 . Housing, utilities & meals are provided by nature of the job. Additionally, there is an excellent benefits package. Paid training and relocation assistance is provided. For more details about this position, view the link “ careers as a houseparent ” on the employment page. The hiring process takes up to 4 months. Apply now for a class slated to start in April 2019. Qualifications: To apply, married couples must complete separate on-line applications & provide different individual e-mail addresses. Couples must be legally married for a minimum of 3 years. Both spouses must be at least age 27. High School Diploma or GED equivalent as a minimum. Candidates should demonstrate a high degree of integrity, as all MHS staff are considered to be role models for MHS students. Demonstrated successful experience (paid or volunteer) working with children, preferably children from poverty. Exceptional interpersonal skills with children, youth & adults. Organizational & budgeting skills. Demonstrated success independently managing dynamic environments. Flexibility required. Must be willing and able to work in student homes of either gender or various age ranges. Capable of handling emergency responses including medical. Each spouse must have a valid driver's license in good standing & willingness to learn to drive a 10-passenger van. No more than two dependent children in residence. No pets permitted Fluency in English required & fluency in Spanish a plus. Please note the selection/hiring process is extensive including on-line application & assessment, phone screens, on-campus interview, reference checks, in-depth background checks & medical clearances, which includes a 50 lbs. lift test. U.S. Work Authorization required.